We’re kind of in crunch time at work right now. I’ll try to keep up. Bad things? What? People in windowless vans always have candy, to share with all the children! Now THAT’S a criminal I recognize! I’m amazed by all the perfectly clean-shaven prison inmates. Especially since it’s night, and if one shaves, it’s usually in the morning. I never shave in the morning, but I have a beard so it doesn’t really matter when I trim it. 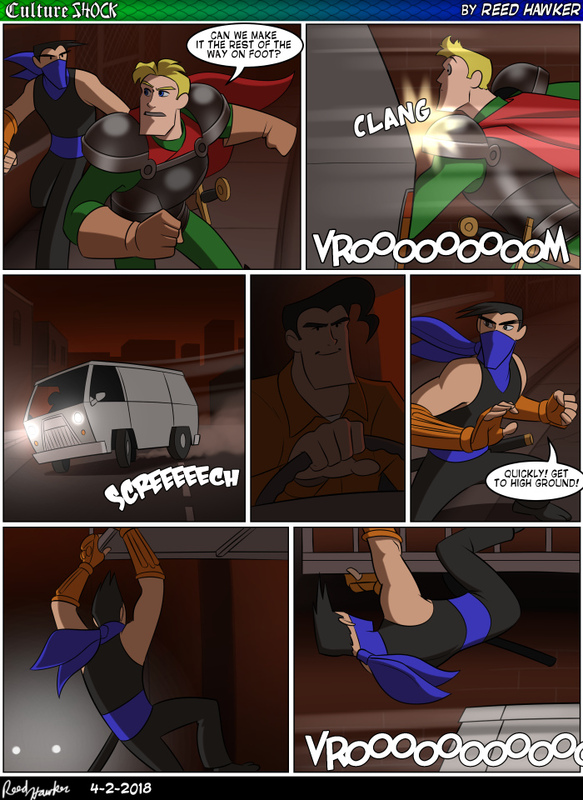 Also, Alex’ armour is quite tough to not get dented by that van. The van is likely made out of aluminum, and possibly even designed to dent and crumple to absorb shocks, depending on how old it is. Alex’s armor is likely made of steel, since it is designed to, you know, be armor. It might have gotten some scratches and scuffing, but it would not dent. And most people don’t have particularly noticeable stubble in the evening if they shaved properly in the morning. Some people do, to be sure, but the average person is fine waiting until the next morning.